We have helped over 10,000 businesses in 86 countries with their marketing creatives since 2002. We design banners & web graphics that really work! You don’t have to pay thousands of dollars to get graphic designs that really work. Our designs get clicks - which means you get leads. Our branded custom web graphics give your product and business a unique look and feel, one that gives prospects confidence in your current and future businesses and helps you make more and effective/profitable sales. But we’ll repay your every penny if you say so! Typically within 72 hours. Need it faster? Get it within 6-24 hours with optional addon! make your banners this awesome! View our prices for custom orders or pick an ad package we've put together and save! We have carefully picked the best sizes to optimize your campaign performance and maximise your return on investment. We also understand these packages may not be for everyone, you may need just 1 banner for testing or 25 for a massive launch event, we’ve got you covered. Just head over to our order page and customize your order to meet your needs. "You knew what we were asking for with the smallest amount of input. With a turn around time of 6 hours. Absolutely amazing work! Thank You"
" Superb Service, under 24 hour turn around for multiple banners at $20 each is out of this world, I give 20dollarbanners.com 10/10 when it comes to service "
"Awesome banners and turnaround time! I don't usually give testimonials for products, but I wanted to let you know of the great service 20DollarBanners.com is providing. In a word, outstanding! I'm amazed that you not only deliver excellent quality banner designs but you offer an unbelievable turnaround time. In my business I need a lot of banners and I've tried several banner design companies but was frustrated at the missed deadlines which twice held up my marketing campaigns (even padding extra time to my order didn't help). Tuan provided fantastic banners in a record time, and at a great price. I'm especially impressed with the few hour turn around time to produce a quality large (700x525) banner! I will definitely be back for more! Keep up the great work."" "I must say that whole process was smooth and even in the case of complication in order form; you have showed professional approach to satisfy the client. " " When ever i need anything done in future i will come straight to you, for speed and price!!! and most of all, the best quality banners ever seen! well done your fantastic "
" I had been using a company who claimed a 3 day turnaround. I placed an order for 4 banners, but after 10 days I still had not seen a single banner, just an ongoing stream of emails saying "sorry, just one more day." They were single-handedly killing my marketing schedule. While waiting for this order I contacted 20dollarbanners and placed my exact same 4 banner order (and not rush service). 31 hours from when I placed this order, I had my 4 banners. They look great, they cost me less than the previous company and, most importantly, 20dollarbanners put me back on schedule with my marketing. " " Easy, Fast and Professional. What more could you want? I needed a great looking banner and with so many places out there to choose from, I was lost. A friend recommended me 20DollarBanners.com and now I'm recommending it to you!! The site is visitor friendly, the ordering process is fast and easy and in no time flat, you'll have a banner that you can be proud of. Perhaps it needs revision? Don't worry, they revise it within minutes. The total time from when I ordered to the finished product was LESS THAN 24 HOURS! Thank You Tuan and 20DollarBanners.com!! I'll be a repeat customer for years! " " I ordered 4+ banners from them, received them pretty much the same day. Great speed, great advice and honest! Get ready for more orders from us :) Simply great service! " " I have only one thing to say, and that is that these guys really know what they are doing. They are fast, and supportive and actually listen to what you need. If I was you, I would go with them "
You know that you offer the superior product, that your customer service has no equal and that your venture is destined for glory, the only problem is that you have no customers to bask in the excellence you provide. Why? Because someone else invested more in their website banner design, had a better optimised landing page, faster loading website or a more respectable looking logo. Too bad there’s not a company around that could offer all these services at low prices, in a record turnaround time, and that has extensive experience in the industry, right? Our team at 20DollarBanners.com has been offering banner design services pretty much as long as website banners have been around and we have not only seen it all, but also created quite a bit of it as well. In fact, we’ve probably created some of the ones you’ve clicked on yourself. We know that regardless of the industry you’re in, online exposure can be an extremely valuable commodity, one becoming more precious and difficult to obtain with every new business trying to get their slice of the online marketing pie chart. It was a long time ago that we have learned that if everyone is screaming for attention at the same time, adding to the cacophony will do nothing but waste your breath and energy. Apart from being experts in creating logo and banner designs that will make people want to visit your website, we know that getting them there is only half the battle. 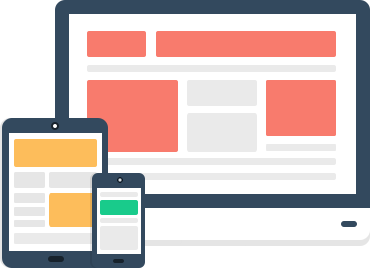 We can help you create new or modify an existing landing page that will make your visitors convert and either provide you with valuable leads, or become new customers. Just in case that you can’t handle all the new traffic that our campaign will send your way, we also offer website maintenance services so don’t worry. We got you covered. Take a look at our packages or contact us and find out how we can help your business rise above the noise. Keep up-to-date on the latest marketing trends plus receive deals and discounts for our services. Enter your e-mail and subscribe to our newsletter. Copyright © 2019 , 20DollarBanners.com - All Rights Reserved.